Consumer Cards & Services, Global, Travel, U.S.
American Express today announced plans to open the thirteenth and fourteenth locations in its signature airport lounge network, The Centurion Lounge, at London’s Heathrow Airport, as well as a location in the Charlotte Douglas International Airport. 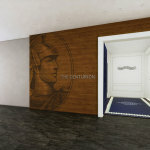 The Centurion Lounge at Heathrow Airport will be the first location in Europe, and the second location outside of the US. 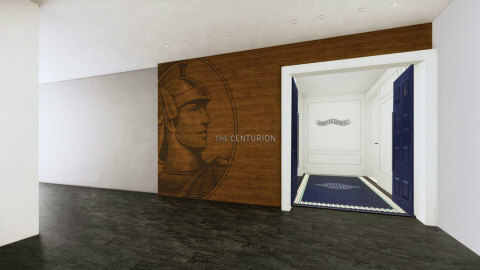 The Centurion Lounge at Charlotte Douglas Airport in North Carolina will be one of the largest locations in the network. The Centurion Lounge is the signature lounge program within the broader American Express Global Lounge CollectionSM , which provides Platinum Card Members and Centurion Members with access to the most lounges across the globe compared to other U.S. credit cards, including access to more than 1,200 lounges around the world, in 500 plus cities, across 130 countries and counting. The Global Lounge Collection includes access to American Express Centurion Lounges, international American Express lounges, Delta Sky Club® for Card Members flying on Delta, Priority PassTM Select Lounges upon enrollment, Airspace Lounges, MAG U.S. Escape Lounges and Plaza Premium Lounges. Card Members can find a lounge at the Global Lounge Collection website or by using the Amex Mobile app. Visit https://www.americanexpress.com/us/credit-cards/benefits/view-all/platinum for more about the Platinum Card. Charlotte Douglas International Airport (CLT), a City of Charlotte department, welcomes nearly 46 million passengers annually. CLT is ranked among the top 10 busiest airports in the world, averaging 1,400 daily aircraft operations. (ACI 2017 Rankings) CLT is served by seven major carriers, 15 regional carriers and two foreign flag carriers with nonstop service to 173 destinations, including 34 international locations and 3 US territories.